Tom Norris was born in Godfrey, Illinois in 1937. He was commissioned through the Air Force ROTC Program at Southern Illinois University on Flag Day, June 14, 1961. Lt Norris next completed Undergraduate Pilot Training at Laredo AFB, Texas, and was awarded his pilot wings in December 1962. 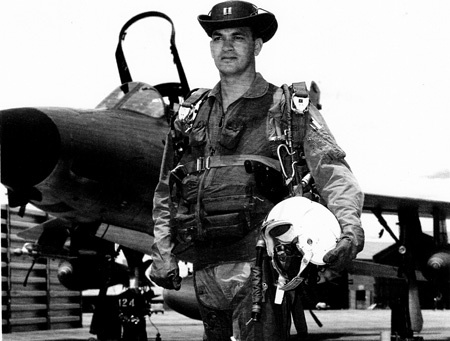 After serving as an instructor pilot at Moody AFB, Georgia, from January 1963 to October 1966, Captain Norris began upgrade training in the F-105 Thunderchief at Nellis AFB, Nevada. He began flying combat missions in Southeast Asia with the 469th Tactical Fighter Squadron at Korat Royal Thai AFB, Thailand, in May 1967. While flying his 47th combat mission on August 12, 1967, Capt Norris was forced to eject over North Vietnam after his aircraft was hit by anti-aircraft fire. He was immediately captured and taken as a Prisoner of War. After spending 2,041 days in captivity, Major Norris was released during Operation Homecoming on March 14, 1973. After hospitalization, he re-qualified at Randolph AFB, Texas, and went back on flying status. During this time, he received a masters degree from St. Mary's University in San Antonio, Texas. 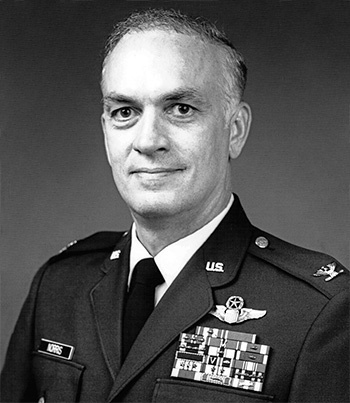 Norris served as Director of Operations for the USAF Instrument Flight Center at Randolph from December 1975 to 1977, and then he became Commandant of the Instrument Pilot Instructor School at Randolph until March 1978, when he was assigned as Deputy Commander for Flight Operations at Officer Training School, Lackland AFB, Texas. He served in this position until March 1979, and then attended Air War College, graduating in May 1980. Col Norris was next assigned as Director of Accounting and Finance at Air Training Command, also at Randolph AFB, from May 1980 to May 1983, and then as Director of Accounting and Finance for Pacific Air Forces at Hickam AFB, Hawaii, from May 1983 to 1986. His final assignment was as Squadron Commander and Comptroller for the Air Force Military Training Center at Lackland AFB, from 1986 until his retirement from the Air Force on July 1, 1987. After retirement, Tom flew Boeing 727's for Braniff Air Lines, TWA, and UPS, retiring in 2002. 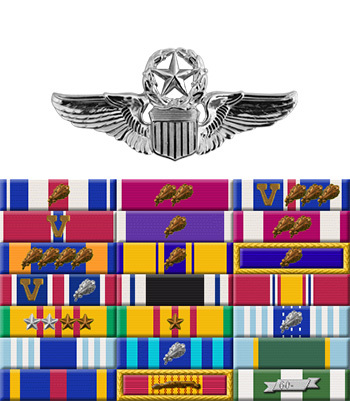 Captain Thomas E. Norris distinguished himself by gallantry in connection with military operations against an opposing armed force over North Vietnam on 12 August 1967. On that date, Captain Norris was a member of a flight of F-105 Thunderchiefs assigned to attack a vital railroad and highway bridge near the center of Hanoi. Despite intense flak, surface-to-air-missiles, and MIG attacks, Captain Norris pressed his attack delivering his bombs, severely damaging the bridge. By his gallantry and devotion to duty, Captain Norris has reflected great credit upon himself and the United States Air Force. Captain Norris with his F-105 Thunderchief in Thailand circa 1967.